Laser forming has become a viable process for the shaping of metallic components, as a means of rapid prototyping and of adjusting and aligning. The laser forming process is of significant value to industries that previously relied on expensive stamping dies and presses for prototype evaluations, relevant industry sectors include aerospace, automotive, and microelectronics. In contrast with conventional forming techniques this method requires no mechanical contact and hence offers many of the advantages of process flexibility associated with other laser manufacturing techniques such as laser cutting and marking. 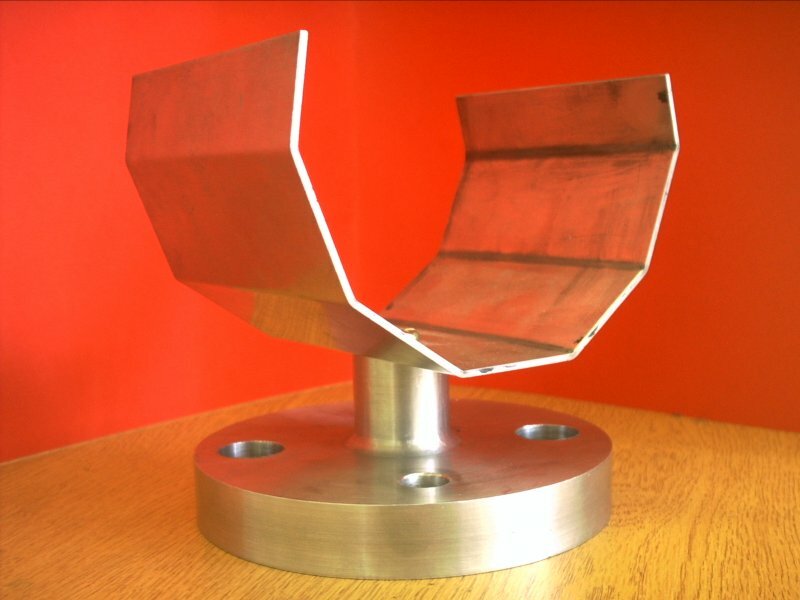 Laser forming can produce metallic, predetermined shapes with minimal distortion. The process is similar to the well established torch flame bending used on large sheet material in the ship building industry but a great deal more control of the final product can be achieved. 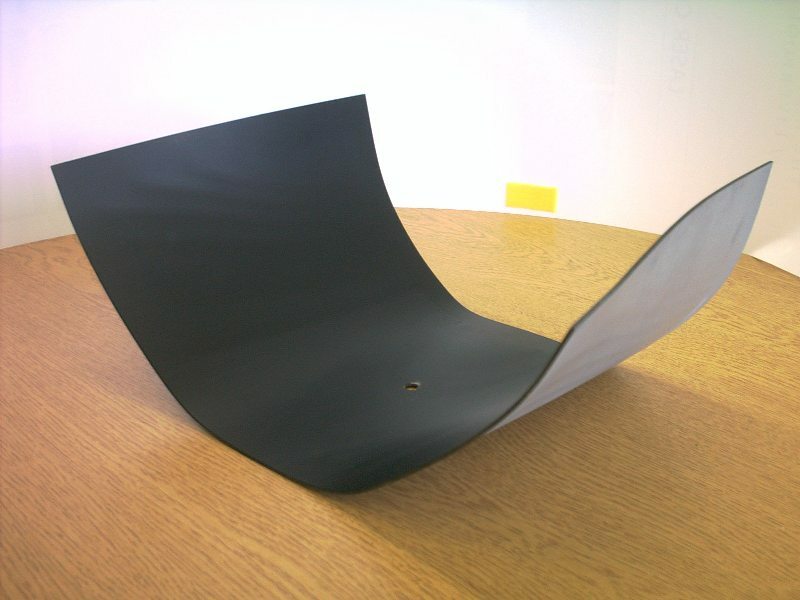 The Laser forming process is realised by introducing thermal stresses into the surface of a workpiece. 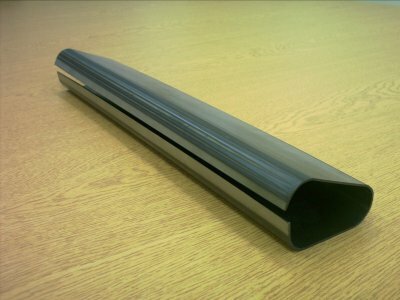 These internal stresses induce plastic strains bending the material or result in local elastic plastic buckling. The principle of the process is shown above. The laser beam is guided across the sheet surface, the path of the laser depends on the desired forming result. In the simplest case it may be a point, in other cases it may be a straight line across the whole part and, for spatially formed parts and extrusions the paths would be very sophisticated radial and tangential lines. 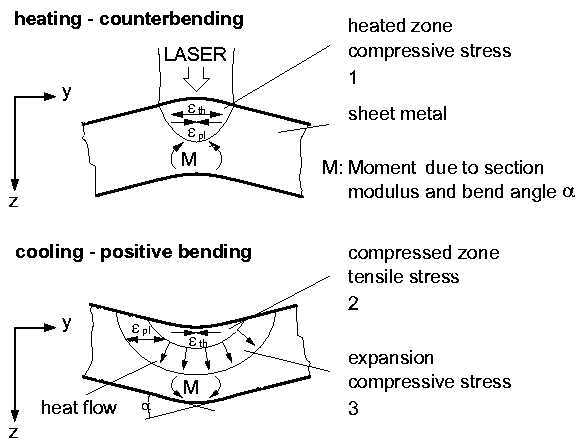 There are several distinct mechanisms of laser forming depending on the process set-up, for the Temperature Gradient Mechanism (TGM) above, using a small spot size and fast traverse speed, the thermal expansion of the upper surface of sheet metal would be hindered by the surrounding material, which would result in an upsetting of the heated material. 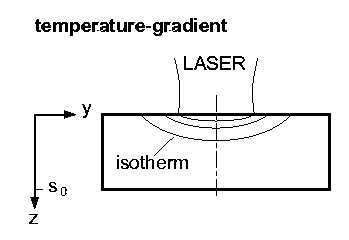 After cooling, the material at the surface is shorter than the material below, giving a bending of the sheet towards the laser beam. Examples of Laser formed parts produced at the Laser Group are given below.